Recently, Miami By Night and it's sister publication, Toronto By Night Journal visited Bird Nest Tree Chinese Restaurant in Delray Beach and discovered a true winner in Chinese cuisine. This place is unique, where Quality and Quantity prevail. Under the superb direction of Mr. William Lam who has surrounded himself with a group of chefs from Hong Kong. He brings to this place 18 years of experience to Bird Nest Tree here on Military Trail. William Lam is a chef with a Midas touch, ably assisted by his charming wife, Judy, she oversees the operation and makes sure that every client is treated right. Mr. William Lam is following the new trend by offering a new style of Chinese cuisine specializing in exotic dishes just like they prepare in Hong Kong. What makes Bird Nest Tree Restaurant different than other Oriental eateries is that they know that their customers are their future, many clients have been eating here for many years. Before opening his own restaurant Chef William Lam has worked as Chef Executive at the Emperial House in Pompano, after this he and his wife decided to open their first Bird Nest Restaurant in Boca on Spanish River and a second Bird Nest on Okeechobee and here Bird Nest Tree is a pioneer at this location for 18 years, so they will do their best to please you. 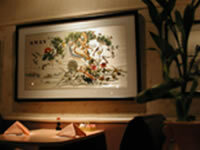 They serve the most popular Szechuan and Mandarin Hunan dishes with a Hong Kong touch. A variety of Appetizers grace the menu, 8 including Egg Rolls, Fantail Shrimp(6), Pan Fried Dumplings and the traditional Pu Pu Platter (for 2) with a house special mixed appetizers including Egg Roll, Chicken Wing, Beef on a Stick and Fantail Shrimp, Spareribs and Chicken Fingers. A lunch special is served everyday with an Early Bird Special at moderate prices, available also at dinner time, served with your choice of soup, either Wonton, Egg Drop, or Hot & Sour Soup, including Dessert and Hot Tea. 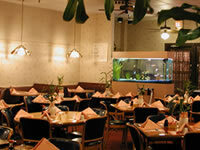 The a la carte menu suggests a variety of Oriental and Chinese specialties. A good choice is the Three Happiness, or the Baby Corn Shrimp and Chicken, not to be missed is the Chef's Orange Flavored Beef, tender beef strips stir fried with chopped scallions, orange peel in special sauce. The Roasted Duck prepared Hong Kong style is a definite must. Bird Nest Tree Restaurant lives up to its name with its Seafood in the Nest, served with the Treasure of the Sea in a creative, colorful special Nest with lobster meat, scallops and shrimp sauteed with snow peas, broccoli, mushroom in a special sauce, a definite award winning dish. For the Seafood Lover a special Yellow Tail Fish served as a whole or a Red Snapper with the secret Chef's Hong Kong style savory sauce. 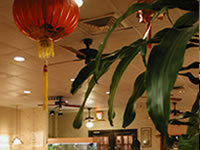 For this little corner of China with it's Oriental and Seafood Specialties prepared with style and a service done with friendliness, the Miami By Night and its sister publication, Toronto By Night Journal at the Service of Conventions and Visitors since 1975 takes great pleasure in awarding Bird Nest Tree Restaurant a Four Star rating.